You know those friends you can go years without seeing, then all show up in one place and immediately it’s as if no time has passed? That’s the Footlight Fannies for me. So when the sole male fanny proposed a weekend in the Smokies—or rather, I think his words were, “how do you feel about church lady hats, Dolly and speaking with a drawl?” which I took to mean he wanted an East Tennessee getaway of epic proportions, I didn’t hesitate. 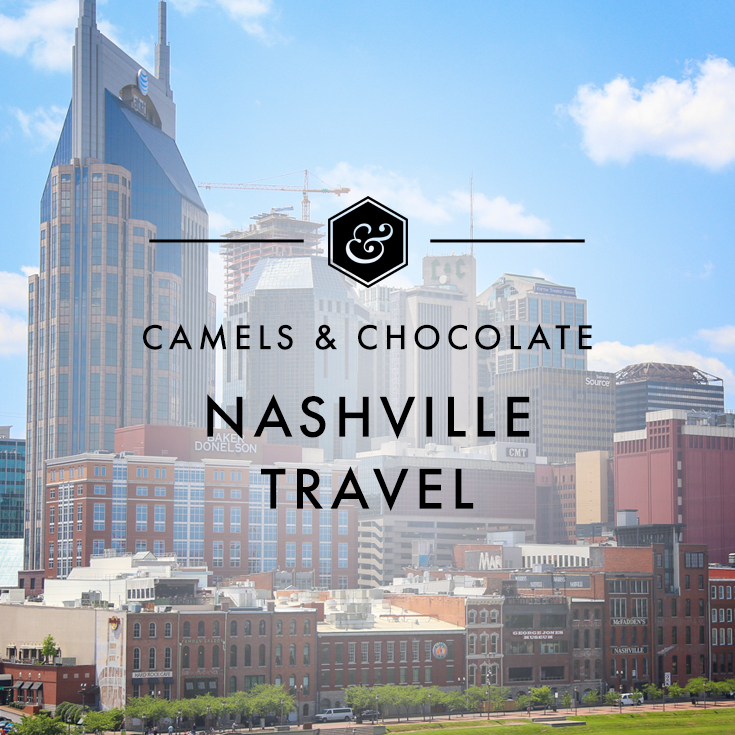 I started looking for us a cabin, pieced together an itinerary and made sure they were serious about flying down to Tennessee to see me for the ultimate fall vacation in the Smokies. I met the Fannies exactly seven years before our fall retreat in the Smokies. The four of us were confined to a floating office that couldn’t have been more than 200 square feet in size, so let’s just say we got to know each other intimately. We sang show tunes, we competed in Sea Olympics somewhere in the middle of the Indian Ocean, we dressed up as various iterations of Lady Gaga, we drank way too much at a BBQ joint in Vietnam, we even choreographed our own haka dances. Trina, Josh and Paula are my tribe, y’all. The people with whom I can be hopelessly silly and—on the flip side—totally, unabashedly real. We actually garnered the name “Footlight Fannies” from the program’s South African theater director who said we were a quartet who always needed to be in the spotlight. I mean … he’s not wrong. So, they booked their tickets, and I moved forward with the logistics. One thing those who don’t frequent the Smokies grapple with is where to book a cabin. Well, it all depends on what experience you want because even though Sevierville, Pigeon Forge and Gatlinburg are all located along a 15-mile stretch comprising Highway 441, the traffic is horrendous. In other words, decide where you’re going to spend your time and then book your lodging.. If you’re a couple who wants close access to the park, I recommend being around the perimeter of Gatlinburg, not in town, but close enough to drive when you have a hankering for a good breakfast. If you’re a family who wants easy entrance to Dollywood and all the attractions along the parkway, Sevierville is a great choice for you. Because fall is high season in the Smokies and I was booking within a two-month window, our options were limited. We wound up just off the parkway a bit north of Sevierville in one of Old Mill Lodging’s older cabins. 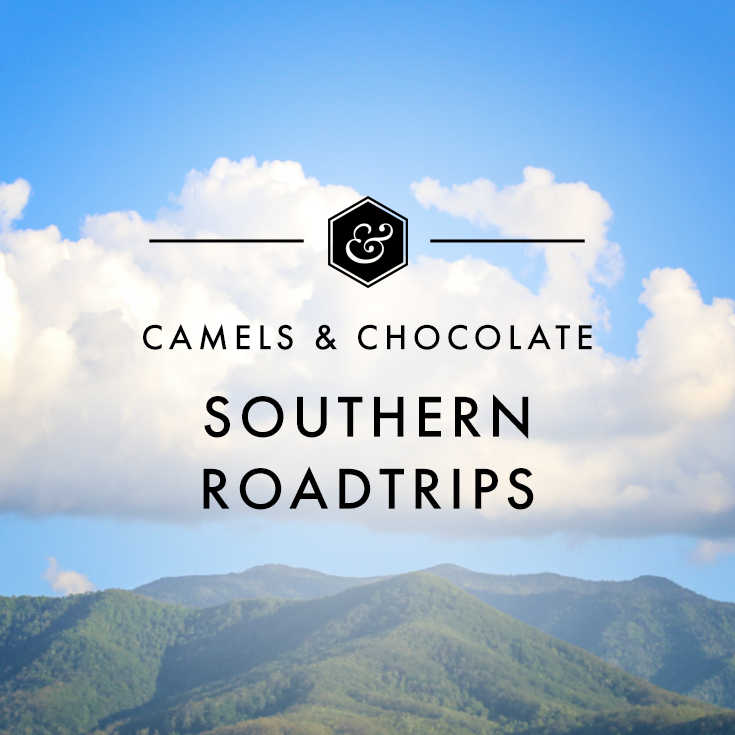 In a more ideal world, we would have been off of Wears Valley Road—a short drive to everything, but in a place that still feels like you are in the mountains. On SVV’s and my last Smoky Mountain getaway, we stayed in a great Sevierville cabin complex that I highly recommend. But sometimes you have limited options and for the Fannies’ intents and purposes, this cabin, while dated, was comfortable enough, the perfect size for the four of us and worked just fine! Paula, Trina and Josh arrived at various times on Thursday morning and night, so I booked us an Airbnb in Knoxville for our first evening, rather than drive to the Smokies under a veil of darkness. This wound up being a smart move as Trina and Josh’s flight was so delayed that they didn’t land until after 1am. Paula and I were snoozing by the time they made it to our rental in Fourth and Gill. Looking to book your first Airbnb? You can get $40 off your stay here! 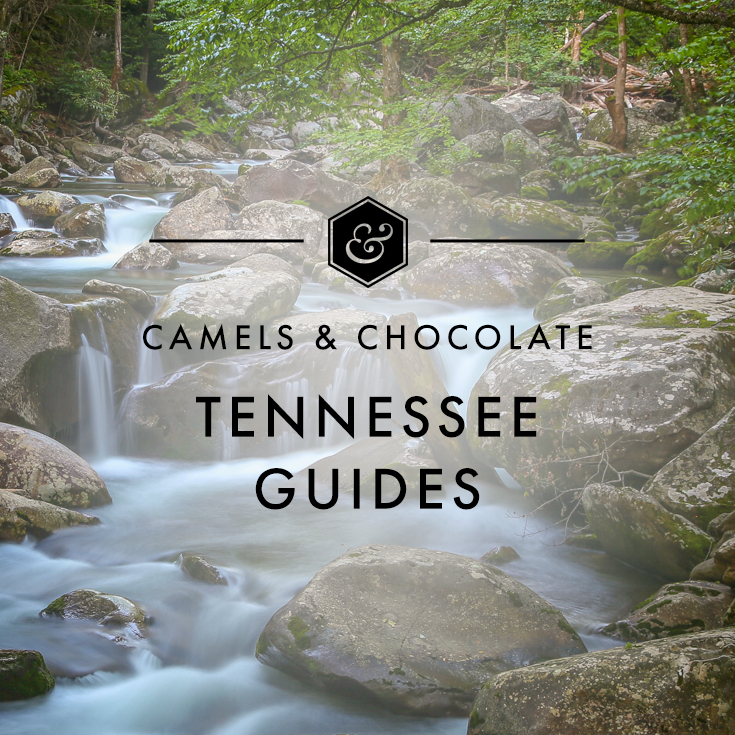 After sleeping in, we got up and tooled around my former college town and checked off a few things on my Knoxville itinerary for every first-time visitor, then we hit the road for Sevierville in time to miss the weekend traffic. Knoxville McGhee Tyson airport is just 30 minutes to an hour from the Smokies, depending on which side of them you’re staying on. Once we arrived at our Sevierville cabin, we wasted no time uncorking the wine and starting a dance party as we all got ready to take the town by storm. Josh surprised us with—Dolly Parton wigs, what else?—and we used Trina’s bright red lipstick and bandanas we purchased in Knoxville to accentuate our looks. We were ready to hit the parkway! But what we didn’t expect when we arrived at the parkway, with its giant Godzilla, replica of Mount Rushmore, overturned museum and other curiosities, is that we would be the attraction. Despite the county’s huge rod run going on that weekend, many bikers stopped to ask to get their photos with us—and one vendor even asked if we were a band. I can’t imagine why we turned heads. But we rolled with it! We had a big evening planned at Dolly Parton’s Celebration! Dinner Show—you may remember that SVV and I went to Pigeon Forge in the spring for the show’s opening—so it made sense to migrate to that general vicinity. Old Forge Distillery is right there, so we parked at the Old Mill, poked around its various buildings including the pottery studio, then bellied up to the bar to taste our way through Old Forge’s spirited offerings. That included a full flight of moonshine, so I only took a few sips as I was driving, while the Fannies full-on indulged. By the time we left Old Forge and made it to the dinner show, they were real happy if you get my gist. Luckily, Celebration! wasn’t far—just a five-minute drive if that. What I love about the dinner show is they cook up a full Thanksgiving-level feast that’s served to you before and during the main event. This cirque-style show is an entertaining way to spend an evening even if you’ve already seen it, as I had. In fact, there had been some slight tweaks to the programming and cast changes even since my visit six months prior. Best of all, dinner starts around 6:30pm and the whole shebang is over at 8pm, so plenty of time to add another activity on after that. For us, that was hot-tubbing with wine back at our cabin. Smoky Mountain life, am I right? The following day, we had a date with my friends Steph and Tim and, of course, Dolly—after all, Dollywood is very much why the Fannies wanted to come to the Smokies in the first place—and I’m glad we got there right as it opened (after a quick stop for breakfast at Courthouse Donuts because we’re only human), as the skies opened up and poured on us after lunch. We waited it out a bit, before the park got shut down and we were ushered out. But not before we took plenty of photos in our Dolly wigs–obviously! Even with the rain thwarting our plans, we still had plenty of time to go on a couple of rides, eat some BBQ and greasy meat-and-threes and, of course, take a peek into her former tour bus. Just a half-day at Dollywood is worth the trip for the magic that is Dolly Parton. Rained out, we headed to the nearby Island in Pigeon Forge as I read they had a new outpost of Yee-Haw Brewing Company, a Johnson City-based brewery whose beer I love (that Dunkel, though). Parking was atrocious, but we eventually nabbed a spot and splashed our way over to Yee-Haw as the rain soaked our clothes. I was a little disappointed in Yee-Haw, to be honest, as it didn’t have nearly the beer offerings I’ve seen at other bars—and many of those brews of theirs that were on tap that I wanted to try weren’t available. We downed a quick pint and went to our next stop: Paula Deen’s Lumberjack Feud. Now if you’ve done an Alaskan cruise, you’ve likely seen a replica of this show—two families “feuding” to become the ultimate victor by tackling a series of lumber-related challenges; I know my family and I went to one in Ketchican many years ago. In fact, I’d venture to say several of the “lumberjacks” (actors) even did their time in Alaska. This new show was a bit cheesy but definitely fit the Pigeon Forge mold. I’d say the four of us 30-somethings weren’t exactly the target demographic—kids are likely to love the concept—but we had fun nonetheless and even took home our own “cookie” (a piece of the tree the lumberjacks sliced off for us)! After all, we’re the Fannies and kitsch is totally our jam. The Lumberjack Feud backs the complex that houses Smoky Mountain Brewery, so after the 90-minute show, we were able to walk right over to dinner. Let me just start with the bad: Y’all, the beer at Smoky Mountain Brewery was terrible, so don’t waste your calories if that’s something that matters to you. And now, the positive: The food is really good, particularly for Sevier County standards (this is not an area known for fine dining). I always love their pizza, and we frequently order takeout from here when SVV and I are visiting the Smokies. Just don’t go for the beer—or do, but don’t say I didn’t tell you so. There’s also now a Casual Pint in Sevierville, so finally you can have the ultimate craft beer experience without leaving Sevier County. A couple of my favorite places to eat in the area that have both great food and beer are the Roaming Gnome Pub and Goats on the Roof. We didn’t get a chance to go there on this visit, but I put together a little map for those of you wanting more eating and drinking experiences on your own fall vacation to the Smokies. Fall is a tricky time to drive through the Smoky Mountains as it’s high season. We were there in September, so arrived well before the leaves peeped, which are around late October and early November nowadays with the summer temps extending through early October. For reference, here’s what last November looked like when we were there for a whiskey festival. But it was still green in September and warm, a gorgeous view nonetheless, just not the color you might expect from the Smokies in fall. We headed down to Gatlinburg early on Sunday morning, with a brief pause at a pancake house for sustenance. Note: I enjoyed Crockett’s 1875 Breakfast Camp far more than Pancake Pantry and the wait wasn’t nearly as long. But try to get there as close to opening as possible to put your name in, otherwise you’ll inevitably have to wait! While we waited, we strolled the parkway—and stumbled into one of those old-timey photo booths that Gatlinburg was made for. Minutes later, Paula had negotiated a deal with the guy running the place and we had a date to return later that afternoon. Oh boy, what were we in for? But first, we had to eat, then drive the Roaring Fork Motor Nature Trail, a 5.5-mile, one-way loop which takes about an hour to tackle with limited stops. This is one of the best drives if you don’t have a lot of time but want a taste of nature—and oftentimes, you’ll see bears, even so close to town! After that, we returned to our friend in the old-timey Gatlinburg photo store to dress up in Old Western attire and pose like our lives depending on it. It was one of the more interesting hours of my life as our friend manning the shop, well, let’s just say he embodied what comes to mind when you think of people in Appalachia. But he broke the rules for us and did let us take some shots with our iPhones, which is typically not allowed as they want you to buy print images (we purchased those, too), so we’ll take our wins where we can get them. And just like that, our weekend was nearly over. Two of the Fannies had a 5pm flight back from Knoxville, so we had to make our way from Gatlinburg there via Fighting Creek Gap Road and Highway 321. But not before a quick stop for a dip in the river. After all, Tennessee falls are glorious weather for that! Then, we swung by the Casual Pint in Maryville for one last Fanny happy hour before I dropped them all off at their respective points of departure, our stomachs aching from laughter and our iPhones brimming with photos. I can’t wait to see where our next Fanny weekend takes us! One of us turns 40 this time next year, so I’m already plotting our next get-together, and I guarantee it will be even better than the last. I love a good Dolly-cation! Me, tooooo! Have you see Dumplin yet? Oh my god this looks like SO much fun! I’ve had Dollywood on my must-do list for ages. It’s so great that you and your friends still catch up each year! There’s a new section of the park opening next spring, I believe, so 2019 is the perfect time to plan a trip there!